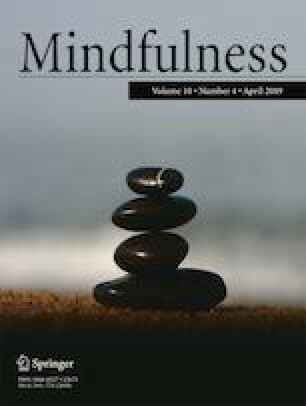 The present article explores a notion of mindfulness found in Theravāda insight meditation. This notion appears to have been influenced by a reinterpretation or misunderstanding of a particular Pāli term. The term in question, employed as a synonym for mindfulness, came to be seen as conveying the idea that mindfulness plunges into its objects. This particular understanding was influential in the revival of insight meditation that originated in early twentieth-century Myanmar (Burma). This article does not contain any studies performed by the author with human participants or animals. Anālayo, B. (2019). The emphasis on the present moment in the cultivation of mindfulness. Mindfulness, 10, 571–581. https://doi.org/10.1007/s12671-018-1074-1.